A parent is not necessarily the one who gave birth to you or has a genetic relationship. A real father and mother is actually the one that loves their children and the one that has taken care of them. Sometimes the ones who love their kids the most are also the ones who need to punish them. This week, as we go into celebrating father’s day on 15th June 2014 lets reflect on the importance of our parents and the role they play in our lives. As I sat here, thinking of how to start this article, I look back at my life; I see all those moments when I could not stop laughing and those days when the tears wouldn’t stop rolling. But through all these times, I have loved and I have lost, friends have come and gone, people I knew once I don’t know now, but then suddenly it hits me at times when I have been in need, and I have always seen my parents being there for me, waiting for me, with ever open arms. Many of us don’t realize the importance of our parents and soon enough we end up regretting it years later, when it’s just too late. Since the time when we were small, our parents have been guiding us, feeding us, washing us, carrying us -the list can go on and on. It just never ends. That’s what our parents are, noble creatures with so much love and they expect nothing in return. We are here today in this world only because of our loving and noble parents, and we should never forget this. From the time we are born, our parents take care of us. They forsake their comfort and luxury only to make us more comfortable and give us a better life, full of love. They take care of us with so much love and patience like no other person would do for us in this whole world. They teach us right from wrong, good from bad. They are always there for us, being our back bone, encouraging us, loving us, and helping us in every possible way. They always forgive us no matter how we are, or what we do. At times we don’t appreciate their kind and loving hearts, and only blame them for our failures. We often take our parents for granted. Instead of loving and respecting them more with each passing day, we instead push them away and create a huge distance between us. We start criticizing their thoughts, their actions, and even their noble deeds. We forget who they are and what they have done for us. We forget that they gave their present for our future. We, no doubt live in the post modern world, but can we justify our actions towards our parents? I don’t think so and if you ask your heart for an honest answer, the answer you will get will make you shudder. We should always remember that when we were helpless little infants, they gave us everything they could and even more, without even cribbing or complaining and without a second thought. They did all they could in order to make us smile. The question that arises here is that, are we willing to do the same for them when their time comes or will we shy away from our responsibilities and duties? This is a question that every son or daughter needs to ask himself or herself with a true heart. Today, the word ‘family’ is just another word and nothing more. I see families where children no longer care, love, or respect their parents. Their parents are a burden to them. They offer them no love, care, money, or respect. What is the difference between our parents and our pets? Most families of today treat their parents the same way. At least they give their pets some love, but do we see this love for their parents? Most parents are put in old age homes when they age and need help. Most of them even pray that they die soon. The Bible teaches us that we should honour our parents. Sometimes our parents need us, but we ignore them and try to keep them out of their lives. We refuse to take their advice and hurt them mentally and physically. Yet, we know that they still love us unconditionally, a love so pure, like the whitest of snow. No matter how much we hate, we will only receive love in return. No matter how hard we try to push them away from our lives, they still don’t stop loving and caring for us. The love they have for us in their hearts will never end. It keeps growing with every passing moment. Sometimes our parents embarrass us. Still, we should know that, all that they do, they do it for our own good. There are times when they would go to bed hungry just so that we can sleep satisfied, they give up their wants just to fulfil our wants or desires, and they give up their luxuries just to see us smile. Like every human being, even our parents have their wants and needs, but they are often left unfulfilled because of us. They give up their own dreams just for us. I remember a certain mother who always wanted to visit Goa, but she never got the opportunity to do so because she always put the needs of her children first, before her dreams or desires. We are young now, stepping into the prime of our lives. As we become stronger and older, our parents are nearing the end with each passing day. 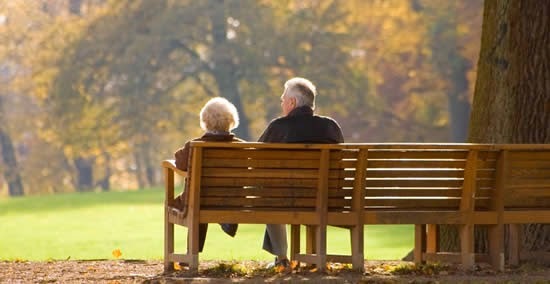 Our parents are getting older and weaker and that is the time when they need us. On the other hand, we don’t even stop for a moment and think whether our parents are happy or do they need something more? How many of us ever wake up in the morning and ask our parents if they are fine or if they need anything? Once I saw a young father sitting and listening to his one and a half year daughter talking. Her words didn’t even make sense yet he sat patiently listening to her, trying to make sense of what she was saying. He held her tiny little fingers and encouraged her to continue talking. I have seen parents help their children take their first steps and I wonder if, years from now when they are old and weak and need someone to help them move, their children will be there for them? There will be a time in everyone’s life when we cry, wish and beg that we had our parents around us but it may be too late and they won’t be there for us at that time and we will be filled with regret and that will cut us to our bones. So, as long as we have parents around us, we should love and care for them, keep them close to us, so that years from now when they are gone we won’t have to regret the things we didn’t or did do but would rather be able to smile and say that we were with them until the end. Therefore, the next time we pray, we should thank God for giving us such wonderful parents. Remember all they have done for us, all the sacrifices they have made and their blessings in our life. Love so true and pure can only be found in no place other than in the hearts of our parents.